In this article, you will learn how to generate a CSR Code and how to install an SSL Certificate on InterWorx Control Panel. Split into four sections, this step by step guide starts with quick instructions on CSR generation. The second part focuses on the SSL Certificate installation itself; the third section contains a brief history of InterWorx control panel and its latest releases, and finally, the last segment reveals the best place where you can buy an SSL Certificate for your website. If you’ve already generated the CSR Code, use the contents below to jump straight to the installation instructions. 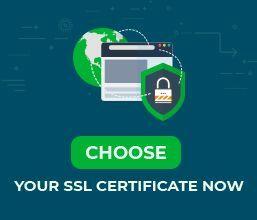 Where to buy the best SSL Certificate for InterWorx Control Panel? CSR stands for Certificate Signing Request, a block of encoded text with your contact details. When applying for an SSL Certificate, your first important step is to create a CSR code and send it to your CA for validation. That’s it! You should receive a confirmation message “Private Key is created”. It’s done. Your CSR code is now ready. You can copy its contents into a text document such as Notepad, and submit it during the SSL Certificate order with your SSL vendor. After your CA sends you all the necessary SSL files to your inbox, you can proceed to certificate installation. You will now see the Certificate installed successfully message. Copy and paste the content of SSL chain certificate and click Install. Congratulations, you’ve successfully completed the SSL installation process. After you install an SSL Certificate on InterWorx, you should perform a thorough check of your SSL configuration. These highly efficient SSL tools will help you spot any potential vulnerabilities within your SSL installation. With instant scans and details reports, you’ll always keep your SSL certificate up and running. InterWorx is a popular web hosting control panel developed by a company with the same name. It’s origins trace back to early 2000s when InterWorx was just an internal project of web host Nexcess. Built for Linux systems such as CentOS, Fedora, RHEL and Scientific Linux, InterWorx is available in 13 languages. InterWorx is divided into two interfaces, one for web administrators and the other for website owners. NodeWorx allows server administrators to manage a server, while SiteWorx lets website owners manage a specific website. 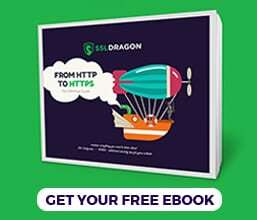 SSL Dragon brings you the best SSL deals on the market and impeccable customer support for any certificate you choose. And, if you’re struggling to find the perfect cert for your website, our SSL Wizard and Advanced Certificate Filter tools can offer quick suggestions.